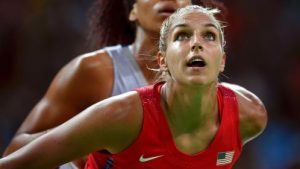 Russian hackers have leaked the confidential medical information of some of the United States’ top Olympic stars in what is being regarded as a revenge cyber attack for the country’s partial ban from the Rio Games. They are also threatening to expose athletes from other nations. The hacking group, which security experts believe is linked to Russian intelligence services, broke into the World Anti-Doping Agency’s (Wada) administration database and posted on its website documents revealing medications used by four prominent American athletes. 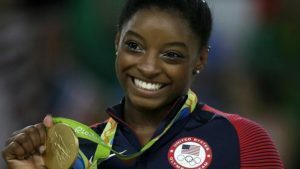 Star gymnast Simone Biles, who won four gold medals in Rio, tennis players Serena and Venus Williams, and basketball player Elena Delle Donne were all victims of the leak. The American athletes’ use of the substances were revealed by urine tests that flagged up “adverse analytical findings” but were covered by therapeutic use exemptions (TUEs), which allow sportspeople to take medications without failing a doping test. Wada said that the hacking group, operating under the name of Tsar Team and also known as Fancy Bear, had accessed the database by using an account created by the International Olympic Committee (IOC) for the Rio 2016 Games. There is some concern that members of the Great Britain Olympic team may have their medications revealed by the hackers, given that the president of the IAAF, Lord Coe, is also the British Olympic Association chairman. The IAAF took the toughest stance of any sport against Russia, banning the track and field team from international competition in June because of state-sponsored doping. 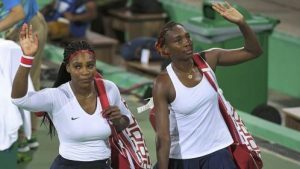 The Williams sisters’ TUEs included prednisolone, which is used to treat soft-tissue injuries and reduce inflammation, while Biles had one for Ritalin, to treat attention deficit hyperactive disorder (ADHD). Richard Ings, the former head of the Australian anti-doping agency, said that the medications being used were not any cause for concern. Wada responded with alarm and has implemented additional security. 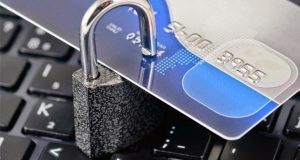 The agency believes that a password from the IOC account was obtained by “spear phishing”, where users are tricked into revealing the access details. 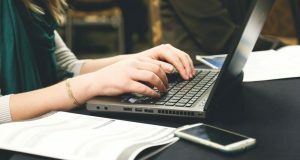 The latest breach of Wada’s cyber- defences comes after the agency confirmed last month that Russian whistleblower Yuliya Stepanova’s file had been accessed by hackers. Stepanova, who is living in hiding in the US after revealing the scale of doping in Russian sport, later said that she feared for her life after the hack. Wada’s director general Olivier Niggli said in a statement: “Wada deeply regrets this situation and is very conscious of the threat that it represents to athletes whose confidential information has been divulged through this criminal act. The US Anti-Doping Agency called the move “cowardly and despicable”. Chief executive Travis Tygart said: “It’s unthinkable that in the Olympic movement, hackers would illegally obtain confidential medical information in an attempt to smear athletes to make it look as if they have done something wrong. 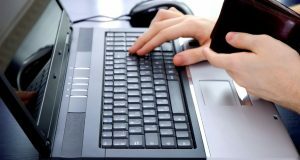 Is Online Banking Secure Enough? How Can a BEC Attack Lead to Financial Ruin?